We hope for this article to be a start of something bigger – a regular column in which complicated issues connected with environment, climate and social justice are explained in simple, digestable terms. Maybe you noticed that last week, something about climate change was happening in Warsaw. But perhaps you have some questions, just like many of us, about what exactly was going on there? We will attempt to explain it to you as simply as we can, but in order to not bore you with all of the extremely complicated details, we are just going to look at some of the basics. So the COP is really just the wonky way to call the UN’s Climate Negotiations. You probably know about the Kyoto Protocol (that time when the world actually got together and said ‘hey, maybe we ought to do something about this climate change stuff’ and created a legally binding document to do so). So essentially, the COP is the yearly meeting when the UN gets together to talk about climate change again and how to do something about it (or at least pretend to). The official name of these talks is the UNFCCC’s COP, which stands for the United Nation’s Framework Convention on Climate Change’s Conference of Parties. 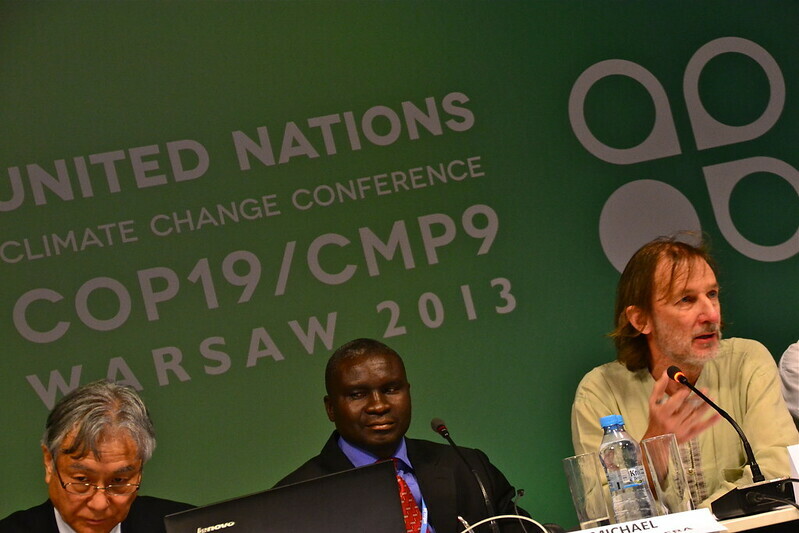 While we are on abbreviations, another good one to know is the IPCC- the International Panel on Climate Change. That’s the group of international scientists who put together really nice reports from all of the existing climate change research that tells us that climate change is a pretty real and serious thing that we probably should do something about. But back to the Kyoto Protocol. In the KP, they decided that not everyone should get the same amount of blame for climate change, considering not every country has emitted or is emitting the same amount of CO2 into the atmosphere. So, they came up with the idea of “annexes,” which are classifications of countries, all decided by their level of CO2 emitting evil in the past. Annex I countries included the biggest CO2 emitters (= developed countries), non-annex I are the not-as-bad, but still somehow accountable (= developING countries). However, these classifications have proven to be a bit problematic seeing as it was created in 1997, and the development of some countries has changed quite a lot in the last 15 years. For instance, this means that countries like China and India which are classified as non-annex 1 countries have the same requirements as say, sub Saharan African countries. So yes, China, the country that today emits the most CO2 in the world (25% of all the world’s emissions!) is expected to do less to cut its CO2 emissions than let’s say, the Czech Republic. All EU countries are Annex 1 countries, and together emit 14% of the world’s CO2. And while that may seem quite small, keep in mind that much of the industry that used to be in Europe has moved to different countries. So while the EU can boast that they have cut down on their emissions quite substantially, that really is in a large part due to the fact that your clothes probably aren’t made in Europe anymore (or anything else really..). So after the Kyoto Protocol, we start to see how the world really feels about taking responsibility for their CO2 emissions. Apparently some countries didn’t learn the childhood lesson, if you make a mess, you have to clean it up. One of the biggest “bad guys” in this turn of events was the US. So while the US signed the Kyoto Protocol, they failed to ratify the agreement, therefore it’s not legally binding in the US. And while the US attends the COP every year, they often stand as a roadblock to many of the negotiations and often inspire some of their developed country friends to do the same (such as Australia, Canada, Japan..). OK. Now to understand what it is they are actually negotiating about, gets more complicated. But hold on, we can do it! So in the Kyoto Protocol, everyone agreed to cut down on their CO2 emissions. But of course, this is easier said than done, so here comes along the idea of “emissions trading.” This is when developed countries try to get rid of some of their commitment by either buying carbon credits because they cannot reach the levels they agreed to or if they are quite good at cutting down on their emissions, they can then sell some of their allotted carbon credit to other countries. If you are confused by the idea of emissions trading, you are not alone. Today, one of the few successful-ish stories of emissions trading actually functioning is in the EU (whether or not it’s successful, thats a topic for another debate..). Otherwise, the rest of the world is pretty stumped on this one too. Another way CO2 emitting countries can get out of meeting their target reductions is by paying for emission reduction projects in developing countries. This is called the Clean Development Mechanism. Now. Time to talk money. So, for all of these CO2 reduction and climate change prevention projects to happen, we need some money. The financing of the UNFCCC is really complex and has many different factors, so for simplicity’s sake, we will just look at two of the most important parts: the Adaptation Fund and the Green Climate Fund. The Adaptation Fund was established to give money for concrete projects in developing countries that are the most vulnerable to climate change (think islands that will be destroyed if sea levels rise..) The Green Climate Fund helps fund things like projects, policy, and programs in developing countries. Both of these funds are supposed to get their cash from developed countries who all made nice impressive commitments during various COPs, but as you might imagine, sometimes some countries aren’t able to cough up the cash and pay up. This means that the programs are terribly underfunded. So, as you might see, the process is terribly complicated and seems outdated. You might not believe that the UN is the best place to solve climate change, and it is easy to get discouraged by it as you see it unfold today (which is to say, terribly..). Yet, no matter what, at least we (we being the world, not just you and I) are again talking about climate change and scrutinizing how things are working. Whether or not things will improve is yet to be seen. Many believe that will be decided at the COP21 in Paris in 2015 where everyone will have to sign another agreement to supplant the Kyoto Protocol. So consider yourself warned- you now know how the UN is dealing with climate change and also that we better make sure the right people are deciding these things in Paris!